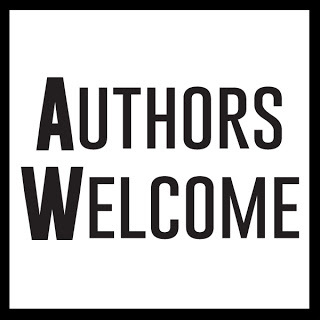 ← Fluff reads – opinions? 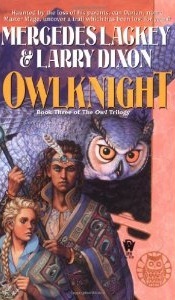 Thoughts: Concluding the Owls trilogy is Owlknight, the final book in Darian’s tale and one that mnages to tie up loose ends without being so perfect and saccharine that it seems wholly unbelievable. eisha and Darian are paired up somewhat happily, though Keisha is of the pessimistic attitude that Darian’s only staying with her until something better comes along. (Thankfully, she gets talked out of this notion quite soundly, because if there’s one thing I can’t stand in a novel, it’s large amounts of introspection on whether so-and-so really loves somebody else when there’s nothing to suggest it other than one person’s paranoia.) Darian has passed his Master trial and is advancing in his studies of magic. The northern barbarians aren’t nearly as barbaric as everyone first thought and are actually doing quite well for themselves as self-contained cultures living within Valdemar’s borders. Everything seems to be going smoothly. Until a chance event convinces Darian that his parents, who disappeared years ago, might actually still be alive. Which sets him on the path to finding them, even if it takes him into territory that nobody in Valdemar has ever stepped foot in before. This is a book that is somewhat world-spanning without being world-changing, which is always an interesting tactic to use. So many books that feature characters travelling all over the place do so because there’s some great world-shaking event going on. Or else they’re trying to prevent catastrophe. Or some other similar large thing. But here, it’s all to conclude a personal quest, to find closure for a young man’s trauma. Nothing so large and spectacular as in previous Valdemar novels. The world is not coming to an end, and there is no great evil to defeat. The closest thing to an evil to defeat is the Wolverine tribe, who are a smarter version of the original tribe who attacked Darian’s village in Owlflight (review here) all those years ago. They’re bent on expanding their territory, subduing all other tribes they come across, and are ruthless in their actions. But they don’t even enter into the story until very close to the end, and despite what a couple of characters may have thought about them being a threat to Valdemar, I honestly couldn’t see that. It’s one thing for a nomadic tribal culture to take over and eliminate other tribes, but it’s another thing altogether to take on a huge nation. If Valdemar was going to worry about every group of people who might someday possibly attack them in any number, they may as well wipe out the entire world as a precautionary method. I never saw Wolverine as a legitimate threat to Valdemar, not the way they were trying to establish. While Darian does get closure in regard to his parents, it was a bittersweet one, which was emotional without being overly sweet or too neat in its wrap-up. Darians parents have spent the years since their disappearance living with one of the northern Tribes, and they haven’t just sat there dreaming up ways to get home. They resigned themselves to being there, and integrated into the tribe, settling in and even having more children. Darian is understandably disappointed by this, having spent so long dreaming of rescuing his parents and bringing them home, only to find that they are home. Just not the home that he envisioned. It’s a difficult thing to come to grips with, that one’s parents have moved into a new life and that they can’t really be a part of yours anymore, but it’s very fitting with the trilogy’s messages regarding maturity and coming of age. Not an easy scene to read, but a fitting one, and all the more powerful for its realism. Because of the fact that this trilogy focused more on people than politics (though it did dip into the political scene in many ways; some things are just unavoidable), more on individuals than on large-scale events like so many other Valdemar novels have done, it was a really refreshing set of stories to read. It’s not for everyone, I admit, but sometimes it’s nice to read fantasy novels that are very contained and small-scale, without having to involve the rest of the world. The stories here revolve around Darian, and his biggest concerns are family, friends, and trying to master his magic. No great wars, no amazing discoveries, at least none that step too far outside his personal sphere. Because of that, it was easier to connect to characters here than in some other novels. Everything was kept close to home, and it really showed. On the whole, this is a trilogy that can easily be skipped if you’re reading the Valdemar novels. It adds many details to the world, but isn’t necessary for understanding the world as a whole. It’s not essential to the history, and you’re not going to be confused if you read any other novels if you haven’t read these ones. But that doesn’t mean it’s worth skipping. If you, like many ohers, have been hooked by the Tayledras, or if you’re looking for a smaller-scale tale that still stays interesting, then absolutely check this series out. However, there are bits of this series that will be lost on you if you haven’t read other Valdemar novels first. There are references to other big events peppered throughout its pages, and while this trilogy enriches the whole, it’s not something that can stand easily on it own, without context. Justyn’s memories, the Kaled’a’in, the very presence of Firesong are all made weaker here if you haven’t seen these things in the other Valdemar novels first. But because of the way this trilogy enriches the series as a whole, it remains high on the list of my favourite Valdemar rereads. And I can’t see that ever changing.